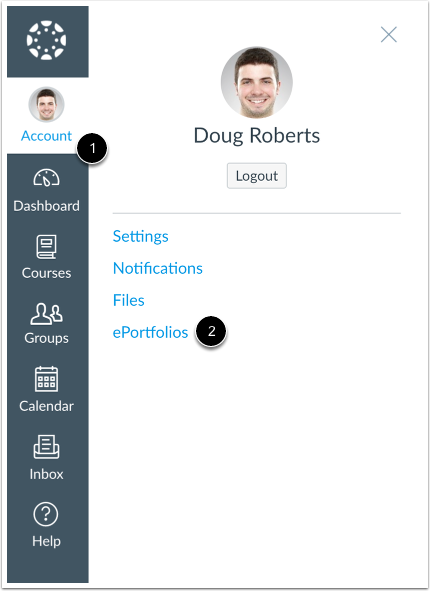 How do I delete my ePortfolio as an instructor? You can delete your ePortfolios in Canvas if you need to remove them. Click the Delete this ePortfolio link. 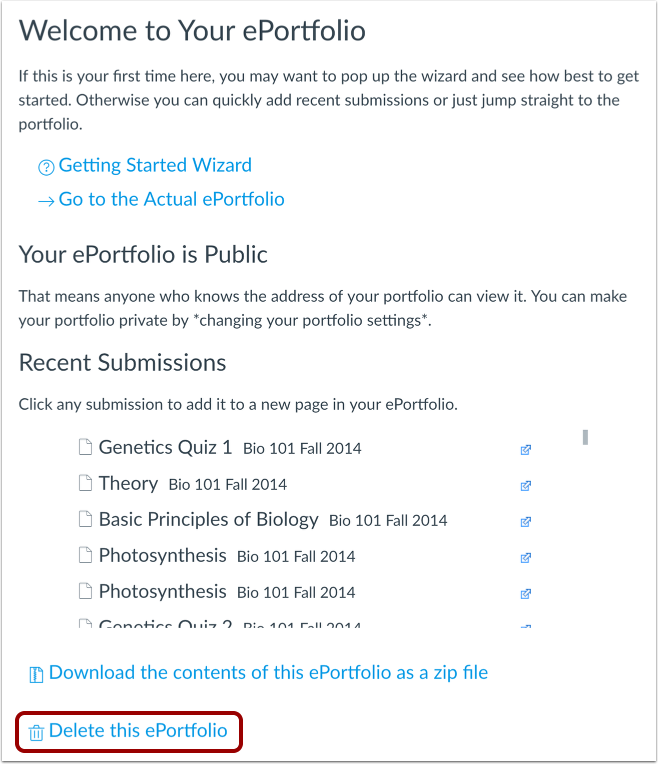 Click the Delete ePortfolio button. Previous Topic:How do I enable comments in my ePortfolio as an instructor? Next Topic:How do I use the Canvas App Center in a course? Table of Contents > ePortfolios > How do I delete my ePortfolio as an instructor?